After setting up your media sources Boxee will start to retrieve artwork and information, based on how your media files are named. There is a specific way you must name your movie files and your TV show episodes for the function to work correctly. TV Shows´ file names usually consist of the shows name, the season (usually indicated by the letter “S”, or just the number), the episode (usually indicated by the letter “E”, or just the number), the episode´s title, and some more info regarding the quality and source of the file. Boxee currently supports the following types of naming conventions for TV shows. 1.What external Hard Disk formats does the Boxee Box support? 2.Can I connect two external hard drives to the Boxee Box? No, Only one USB powered external hard drive will work. If more are desired, a powered USB hub or externally powered hard drive would be needed. 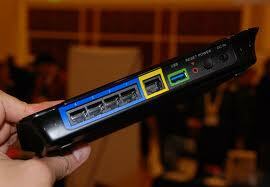 3.Can the Boxee Box work while offline? Yes, but the user must log in while connected to the Internet the first time the Boxee Box is used. 4.Can I use an HDMI conversion cable to connect the Boxee Box to my TV? Unfortunately no. The Boxee Box does not support any HDMI conversion cables. 5.Can I customize my Boxee Box screen saver to display my pictures? Unfortunately No. At this time there is no support for screen saver customization. 6.Does the Boxee Box cache album covers? Yes, the Boxee Box has a cache size of 512MB. 7.What can I watch on the Boxee? Watch what you want – the Boxee Box makes it easy to choose the TV shows you want to watch, and most importantly, the ones you want to pay for. There is currently over 40,000 TV episodes from your favorite networks instantly available. Get instant access to a huge library of streaming movies from across the Internet with the Boxee Box, you get Hollywood hits, access to Indies and critically acclaimed films from like MUBI and Openfilm. FOUNTAIN VALLEY, CA — (Marketwire) — 02/17/11 — Expanding content options available to users, D-Link and Boxee today announced that the award-winning Boxee Box by D-Link now features support for Netflix in Canada. The Boxee Box is the easiest way to bring TV shows, movies, music, and photos from the Internet to your TV in a simple, easy-to-use way — all that’s needed is a TV with an HDMI input and an Internet connection. Unlike any other set-top device, the Boxee Box has support for a full web browser, full HD streaming from the Internet, support for all popular media file formats, and integrated social networking which delivers personal recommendations straight to the TV. Boxee Box by D-Link users who are Netflix members in Canada are now able to instantly watch thousands of TV shows and movies streaming from Netflix for only $7.99 per month through an easy-to-use application that’s easily accessible and free for consumers. The Boxee Box features an SD card slot, two USB ports, optical digital audio, HDMI output, 802.11n wireless, and an Ethernet port for connectivity flexibility. 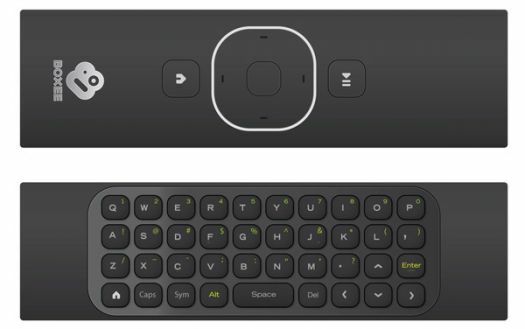 With a double-sided remote featuring a built-in QWERTY keyboard and simple browsing interface, consumers can kick back and watch virtually anything. Beyond traditional content, consumers can easily discover new videos from friends on social networks, including Facebook and Twitter, which are pushed directly to their TV. The Boxee Box by D-Link is currently available throughout D-Link’s network of retail and e-tail outlets in Canada for a street price of $219.99. D-Link has that in mind and announced at CES 2011 HD media routers that it claims offer much better audio and video streaming, even when dealing with huge files of 1080p content. •HD Media Router 1000 (DIR-657): A single-band 300Mbps Wireless-N router with a USB 2.0 SharePort Plus port. •HD Media Router 2000 (DIR-827): A true dual-band Wireless-N router with USB 3.0 that offers up to 2Gbps transfer rates. •HD Media Router 3000 (DIR-857): This is the top, uncompromising, true dual-band router that has all that the DIR-827 has, plus offering up to 450Mbps on the 5GHz band, similar to the WNDR4000 from Netgear. The D-Link HD Media Routers feature a sharing platform made available through a partnership with miiiCasa. MiiiCasa enables household members to freely organise, play and share their content among IP-connected device. MiiiCasa completely eliminates the need for configuring storage settings, using FTP servers, disk mounting or tweaking user access controls. It is embedded in D-Link HD Media routers and it integrates with D-Link storage services. 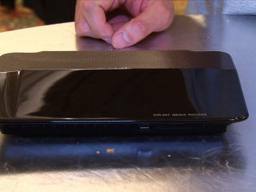 D-Link says that its new HD media routers will provide the best possible video quality for wireless streaming across set-top boxes (like TiVo, Slingbox, and Boxee Box by D-Link), as well as for network storage devices and PC-to-PC traffic. Consumers can expect a consistent streaming experience in the home. The DIR-657 is slated to be available during the first quarter of the year and will cost less than $140. The other two models, DIR-827 and DIR-857, will be available during the second and third quarter, respectively. Currently their prices are to be determined.